This week’s Famitsu gaming magazine is out, and the uploaded page scans show us the designs of the previously announced modules, as well as the total planned module count: Over 300! 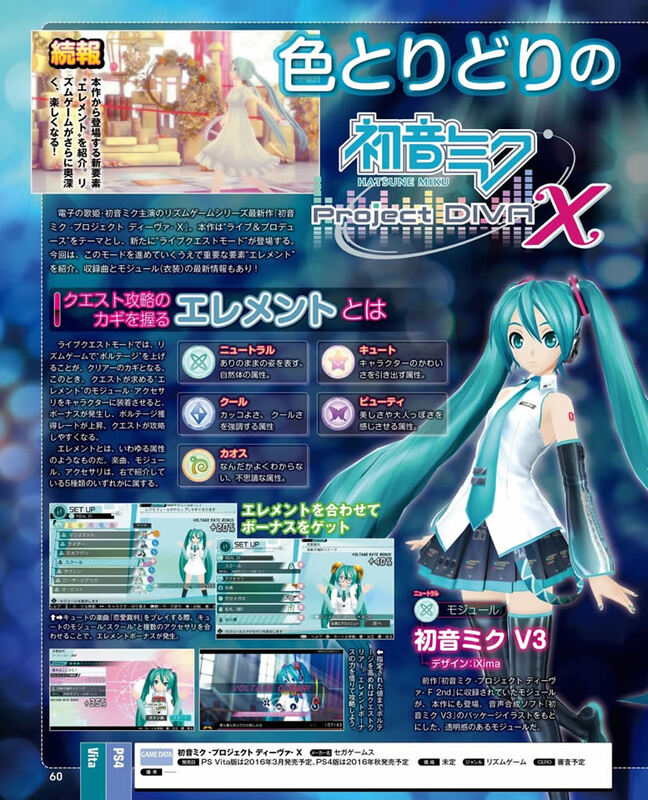 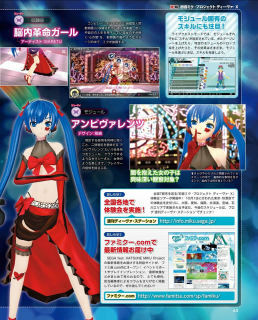 This shows that SEGA will no doubt be bringing back many modules from past Project Diva installments, and then some. 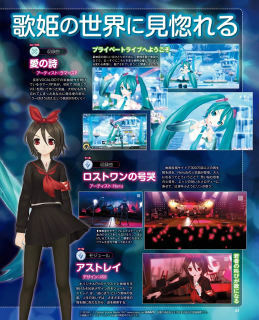 This no doubt will compliment the song selection, which is said to be 50 total if you include medleys. The attributes of the modules were also shown: Hatsune Miku V3 (NEUTRAL), Astray (COOL), Pumpkin Dream (CHAOS), Pizzicato (CUTE), and Ambivalence (BEAUTY). 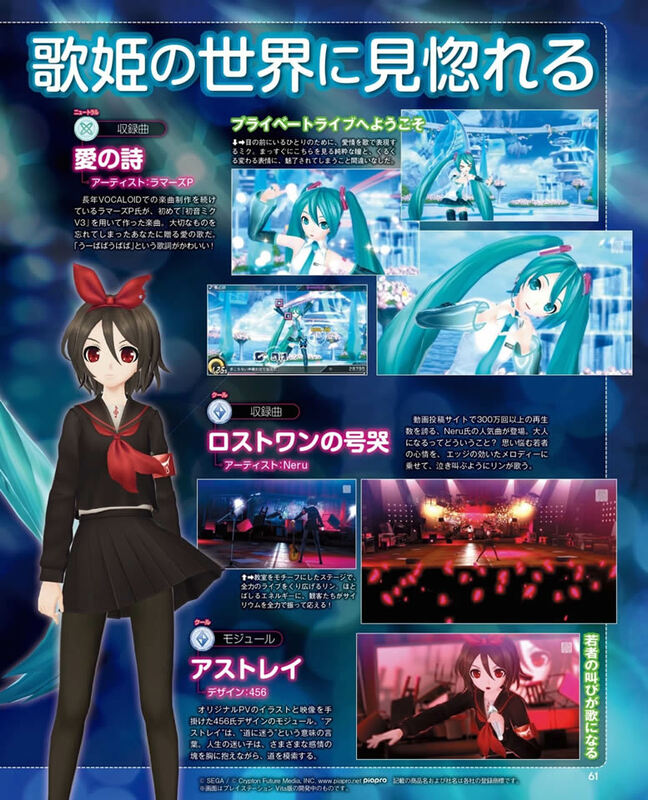 These attributes can assist you with the passing of songs/stages in the game’s new “Live Quest Mode”. 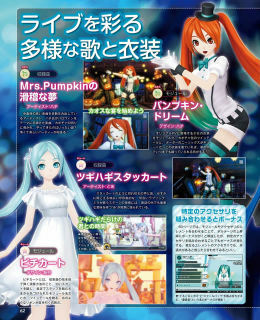 Check out the scans below!